As you may know, sometimes individuals or businesses are selected for an audit by the Canadian Revenue Agency (CRA). What you may not realize are the varied consequences that can occur should you not be adequately prepared. For a start, consider Liu & Associates’ three most common questions about tax audits. After that, bring your questions or concerns to one of our financial professionals today! Return has errors or instances of poor comprehension. 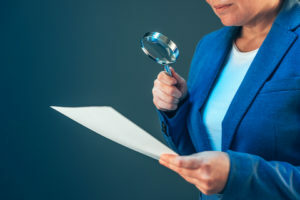 If you are selected, the law does require you to cooperate with your auditor– part of this is always keeping adequate financial record, whether you are chosen or not. Read your initial notice carefully and collect any records request of you, filling in any holes with supporting documents such as account statements. Always be familiar with your rights as a taxpayer and consider the appeals process carefully after your final assessment. You may be skeptical about taking an accountant’s opinion, but we cannot stress the advantage you gain by employing a financial professional during an audit. Your ideal candidate should be deeply familiar with taxation and the associated laws– they should also be able to outline both best and worst case scenarios. If you are concerned with being able to afford an accountant with CRA fees and penalties on the horizon, proper organization and experience can actually save you money in the long run. The above three questions are only a brief introduction to the world of tax audits and their consequences. If you or your business have been selected by the CRA, do not hesitate to contact Liu & Associates!